LOCATION: Where do you truly want to live? Is it a certain school system? Maybe you are a dog person and dog parks are key, OR, rentability to potential tenants. Potential APPRECIATION: Where are we seeing the largest growth year over year? Again, this comes down to finding the best area possible for your particular price point. Investment Long Term: Where do we see this asset to be in the future and how is it going to perform in our portfolio. We are looking at the following: Cash Flow, appreciation, tax depreciation, and equity paydown. EXIT STRATEGY: What is our long term play? IS this our forever home, temporary housing and then plan on renting it out? Or potentially reselling and upgrading once our situation changes? Having the best possible exit strategy is critical! 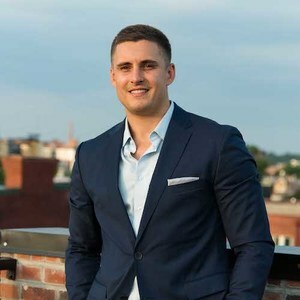 With the knowledge of the DMV market, Cassidy uses these same strategies as he continues to grow his own portfolio and helping others build wealth through real estate.